Learn how to add clients, projects and rates to the portal so that you can raise invoices quickly and record expenses. Open the Clients tab and click the Add Client button. Enter your client's details into the form. If your client is based abroad, please tick this box or your VAT will not be correct. Please select the currency your client wishes to be billed in. Click the Save Client button below the form to save your details. The client will display in the Clients table to confirm it has been successfully added to the portal. A project is not required, however, some clients find it helpful. It is required for any foreign clients and will be created automatically. Open the Clients tab and click the Add Project button. Enter your project details into the form. Project start / end dates are for information purposes only and are not compulsory. Mileage Billing Rate – the amount in pence that your client has agreed you can bill them. Leave blank if not applicable. 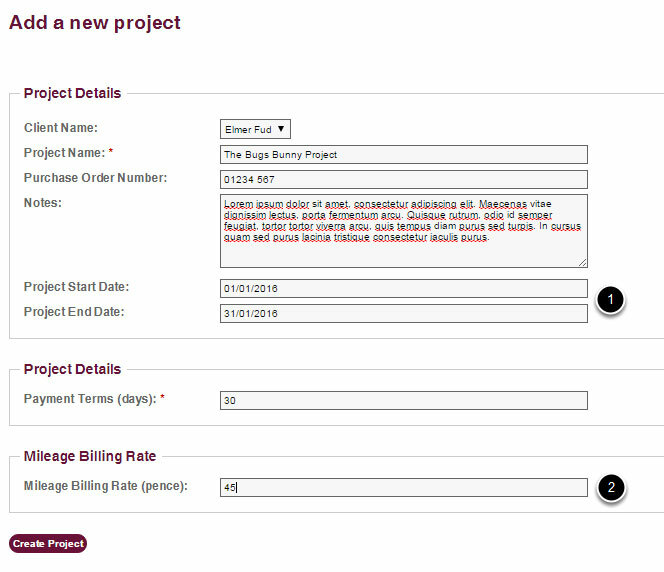 Click the Create Project button below the form to save your details. The project will display in the Projects table to confirm it has been successfully added to the portal. Edit – allows you to amend the Project details. Adding rates will make it quicker to raise an invoice if you bill a particular rate regularly. Open the Clients tab and click the View Rates link in the navigation bar. Click the Add Rate button on the right side of the page. Enter your rate details into the form. Give your rate a Description, Value and Unit. You can assign this rate to as many clients as you wish. If you don't assign to a particular client, it won't be available for you to use when raising an invoice to them until you go back to rates and assign it. NOTE: This will make it quicker to raise an invoice if you bill a standard rate frequently. 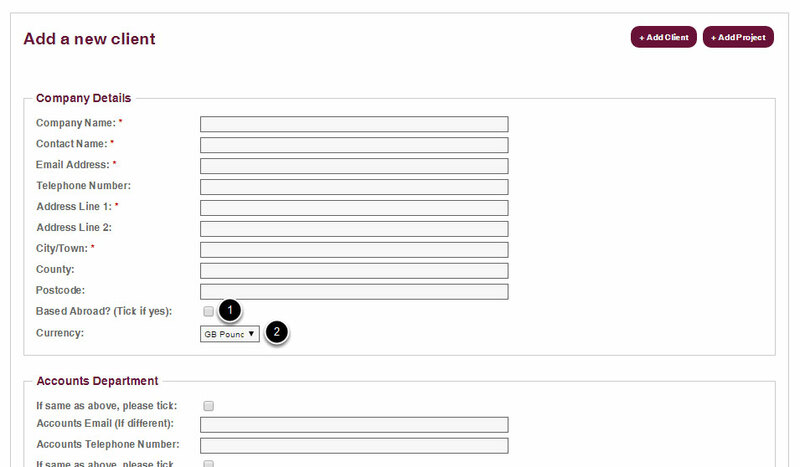 Click the Create Rate button below the form to save your details. 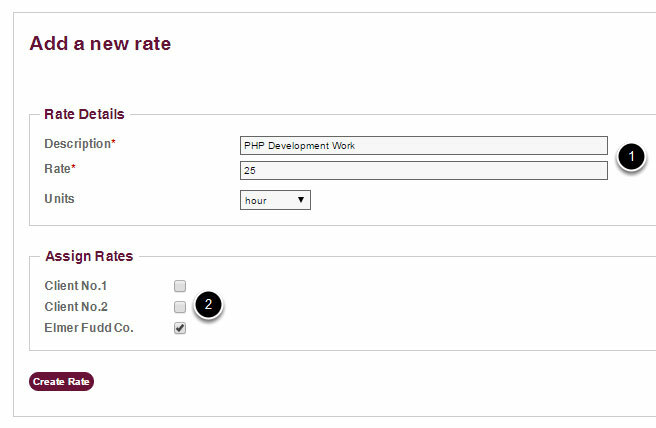 The rate will display in the Rates List table to confirm it has been successfully added to the portal.